How does your Tow Vehicle Stack up in the Real World I was watching television the other night when a Ford commercial came on. They had two competitors vehicles hooked to an 11,000 pound trailer and the guy says something along the lines of, it would take two trucks to tow an 11,000 pound trailer unless you have a Ford F-150 with a fully boxed frame. Now, because of what I do for a living this commercial advertisement immediately got my attention. My first thought was that a fully boxed frame might be a nice feature, but I found it difficult to believe that this was the reason the truck could tow more weight than any other half-ton truck on the planet. The last time I checked, reasons for strong tow ratings were due to factors like the engine, transmission, and rear axle ratio to name a few. This piqued my curiosity and I decided the next morning I would forgo my daily work plan and investigate this claim, that a half-ton Ford F-150 could in fact tow 11,000 pounds safely. The first order of business was to check some published towing guides to confirm Ford’s claim. 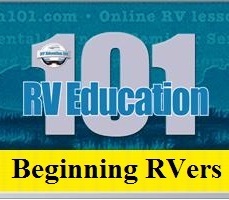 I started with the 2007 Ford Fleet Towing Guide. When I went to the section on half-ton trucks I discovered that the highest published tow rating listed for a half-ton F-150 was 10,500 pounds. Upon further examination I found that there was only one F-150 truck, out of 56 configurations available, with this 10,500 pound rating. It was a regular cab 4X2, with a 144.5 inch wheelbase and a 4.10 axle ratio. But wait there was a footnote, it read that this truck also required a heavy duty payload package, and in parenthesis it said (late availability). I don’t know when this towing guide was published, or whether this heavy duty payload package was available at the time of this writing. Let’s look at where we’re at so far. Out of 56 configurations between Ford F-150 half-ton regular cab, supercab and supercrew trucks, two wheel drive, four wheel drive, short bed and long bed models with 3.55, 3.73 or 4.10 axle ratios there was only one F-150 half-ton truck rated to tow 10,500 pounds. The last time I checked a regular cab, two-wheel drive long wheel base truck was not the favorite choice among the masses in the truck buying category. But wait, there was another problem; the TV ad said Ford had a half-ton F-150 that could tow 11,000 pounds, not 10,500. Before wasting a lot of time, for no reason, I decided to check a couple of other 2007 towing guides I had lying around to see if one of them could clear up some of this confusion. The 2007 RV Business Towing Guide listed 49, F-150 trucks in various configurations, of which the highest tow rating was 9,900 pounds. Again it was a regular cab, two-wheel drive with an 8 foot bed and a 5.4 liter V-8 engine. There were two footnotes which called for an automatic transmission and a 4.10:1 axle ratio. The 2007 Trailer Life Annual Towing Guide listed the same 49, F-150 configurations with the same model rated to tow 9,900 pounds. Now I was thoroughly confused. Can an F-150 tow 9,900, 10,500 or 11,000 pounds? I decided I better contact somebody at Ford about the TV commercial and find out what’s going on. Who was right, the television ad or one of the published towing guides? I searched and searched for any of the Ford representatives contact information who might quickly clear this matter up, but soon discovered it was a challenge to get to the top. The closest thing I could come to was a Ford Public Relations phone number I stumbled across on the Internet. I spoke with a young lady about my dilemma; she said she wasn’t allowed to give me her name. I explained the problem between the television ad and the published towing guides and she told me that tow ratings are based on how the truck was equipped. I attempted to explain that I thoroughly understood this, but that this didn’t answer my question. Her final response was for me to contact a local Ford dealer and they would be able to answer all of my questions. Now I have been at this RV towing thing for quite some time, but for the benefit of the doubt and to comply with the guidance I was given, I contacted a local Ford dealership. I’m glad I didn’t have to pay for the phone call because what I already suspected turned out to be right. I talked to the sales department and the service department and nobody could tell me what the highest tow rating for a 2007 F150 was, based on any configuration. I let things rest for a few days, so I could get caught up on some work I was falling behind on. Low and behold I saw the same commercial on TV again. Now rather than just being curious I was starting to be concerned about the huge audience watching this same commercial advertisement. The next morning I did some research on the Internet. I soon discovered this commercial was part of the Ford Challenge advertising campaign. They even have a website for it. Take the challenge. See why Ford is the better choice. I’m sure you have probably seen some of the other Ford challenge commercials involving the Ford Fusion and the Ford Expedition. Basically, the Ford Challenge advertising highlights some of the vehicles features and capabilities as compared to its competition. The F-150 boasts best-in-class payload and towing. In an attempt to be fair, and not make judgment, I tried for a second time to contact somebody at Ford who might clear this matter up. This time I had to settle for sending an email to a customer service department under the listing of sales and advertising. Ten days later I received a response from the Ford Motor Company Customer Relationship Center regarding the maximum trailer weight of a 2007 Ford F-150. It read, “In an effort to assist you, we have researched on your inquiry. As per our resources, the maximum trailer weight in pounds for a properly equipped F-150 without cargo is 10,500 pounds.” There was no mention of the advertised 11,000 pound rating in the e-mail response. Now I thought I really need to contact somebody at Ford for an explanation. As a third attempt I went to media.ford.com. This is where all of the media types can access information not readily available to the general public. I registered, listed my credentials and was granted access. After researching the media site I called the point of contact for a press release referencing the F-150 11,000 pound rating, but never heard back. Next I contacted Ford’s Manager for North American Marketing and Sales Communications by e-mail. I didn’t get a response for over a week, so I called and left a voice mail message. I still haven’t heard anything at the time of this writing. Personally I would think somebody at Ford would want to clear this matter up. After some additional research it was my opinion, and my opinion only, that when Ford got wind of the 2007 Toyota Tundra’s offering of a 5.7 Liter V-8 with 381 horsepower and 401 lb-ft of torque, they felt threatened a bit. Early on, this year, Toyota stated this half-ton truck would have tow ratings of 10,000+ pounds. An http://Edmunds.com 2007 Toyota Tundra review stated that a properly equipped 4X2 regular cab Tundra can tow up to 10,800 pounds. This would have been the highest tow ratings in its class for 2007. According to Autodata, Ford saw its F-Series sales slip 14 percent in the first quarter of 2007. Was the Ford claim of 11,000 pounds a result of not being outdone? Not losing sales to its competition? After all, Ford trucks have been the king of the hill for quite some time. I found it interesting that in 2004, 2005 and 2006 the highest tow rating for an F-150 was 9,900 pounds. In August of 2006 Ford announced the 2007 F-150 was capable of towing 10,500, and in January 2007 it was increased to 11,000 pounds. The only difference between these trucks, to justify this increase, is a fully boxed frame?? Vehicles go through rigorous testing to determine tow ratings. There are many factors involved like engine size, transmission, wheelbase, axle ratio, brakes, cooling systems, tow packages and much more. The problem that I see with tow ratings is that even though there are many factors involved and there is rigorous testing involved, there is no set standard to measure these things against, at least not that I’m aware of. Let’s take a look at some actual specifications between the Ford F-150 and the Toyota Tundra and then we’ll do the math. The Ford F-150 in question has a 5.4L V-8 engine with 300 horsepower @ 5,000 RPM and 365 lb-ft @ 3,750 RPM. The Toyota Tundra has a 5.7 L V-8 engine with 381 horsepower @ 5,600 RPM and 401 lb-ft @ 3,600 RPM. Both have a 4.10:1 rear axle ratio. Ford advertises a tow rating of 11,000 pounds and Toyota advertises a tow rating of 10,800. The F-150 has a Gross Combined Weight Rating (GCWR) of 15,800 pounds and the Tundra has a GCWR of 16,000 pounds. It’s interesting that the Toyota has the higher horsepower, torque and GCWR, but a lower tow rating! 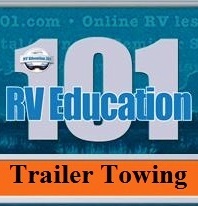 Let’s look at a simple formula used to determine vehicle tow ratings. The GCWR is the maximum permissible weight of the fully loaded vehicle and the fully loaded trailer combined. So if we take the GCWR minus the vehicle curb weight (the actual weight of the truck, less passengers and cargo) we know how much weight the truck can tow. In our example we will use the vehicle curb weight listed by the vehicle manufacturer. The Toyota Tundra has a GCWR of 16,000 minus the curb weight of 5,200 = 10,800 pounds, which is the advertised tow rating of the Tundra in our example. The Ford F-150 has a new GCWR of 15,800 minus the curb weight of 5,125 = 10,675 pounds, which is 325 pounds less than the advertised 11,000 pound tow rating. Things don’t add up here! And I don’t understand how the truck’s GCWR increased from 15,300 to 15,800 pounds with little or no change to the truck. Even with the higher GCWR this truck can’t tow 11,000 pounds, at least not mathematically. This simple formula works for any towing application. I mentioned that I tried to contact Ford on five separate occasions, to explain this difference in the calculations. The only response I received at the time of this release was from the Ford Motor Company Customer Relationship Center, regarding the maximum trailer weight of a 2007 Ford F-150. It read, “In an effort to assist you, we have researched on your inquiry. As per our resources, the maximum trailer weight in pounds for a properly equipped F-150 without cargo is 10,500 pounds. Without another response from Ford I have to assume that this basic formula, which works in all other scenarios, is correct in this scenario. Perhaps an even larger problem is, the consumer doesn’t really understand vehicle tow ratings and nobody on the vehicle manufacturing side of the house is really attempting to educate consumers on this topic. I mean really, advertising an 11,000 pound tow rating to the masses when in reality only one version of the F-150, out of 56 available, can tow close to the advertised weight. And sadly in the real world of towing it can’t even do that. Let me explain. When a manufacturer determines a tow rating it is usually based on an empty vehicle, without many options, and the weight of the driver. Most weights used for the driver are listed at 150 pounds. I think the last time I weighed 150 pounds was sometime in junior high school. Here’s how this tow thing really works. You want to buy an F-150 to tow a Recreation Vehicle. For starters you want a supercab so there is room for the family. And of course you wouldn’t be caught dead without four wheel drive, and it has to be a short wheelbase model. Next on the list, you want something that has decent fuel economy because you will be using it to drive to work when you’re not towing the trailer. So you compromise and go with a 4.6 Liter V-8 with a 3.55:1 axle ratio. Out of those 56 configurations of F-150 trucks you now have one to choose from. That’s right, one model meets your criteria and the tow rating of your new F-150 is 6,000 pounds, not 11,000. This takes us back to the empty truck with a driver who weighs 150 pounds. Let’s look at the real world again. You have a wife and two children whose combined weight is 330 pounds, being conservative. The additional options you want on your truck like the bed liner, brush guard and side steps added 150 pounds, again being conservative. Now, do you plan to put anything in the back of the truck when you go camping? Well it’s a good place for the bikes and lawn chairs, and don’t forget about your tool box. Since we have been conservative to this point we’ll just add another 130 pounds for cargo. And the difference between your actual weight and the 150 pound driver is, let’s say 40 pounds which in my case is still on the conservative side. Now let’s do the math. A 6,000 pound tow rating minus 650 pounds of added weight equals a 5,350 pound tow rating. You see, everything you add on, or load in to the truck takes that same amount away from the vehicles tow rating. Oh and don’t forget the tongue weight of the trailer you’re towing. Additional weight like tongue weight and other weight added to the vehicle cannot exceed any vehicle weight ratings like the Gross Axle Weight Rating (GAWR) and the Gross Vehicle Weight Rating (GVWR). While were on the subject of weights, I mentioned another weight rating earlier that isn’t talked about very often, the Gross Combined Weight Rating (GCWR). In the real world the GCWR is very important when you are talking about towing because it is the maximum permissible weight of the fully loaded tow vehicle and the fully loaded trailer combined. If you go to a set of scales and weigh the fully loaded truck and the fully loaded trailer it cannot exceed the GCWR of the tow vehicle. We can go one step further and say that regardless of the advertised tow rating if you subtract the curb weight of the vehicle (plus any added weight) from the tow vehicle’s GCWR it will give you the amount of weight the vehicle can actually tow. In our last example the GCWR for the truck in our example was 11,500. The curb weight was about 5,360 plus our added weight of 650 pounds. But don’t forget to subtract the 150 pound driver. So our truck can tow 5,340 pounds before it exceeds the GCWR. The GCWR takes all factors into consideration, unlike the vehicle tow rating. Head to the scales to find out how things stack up in the real world of towing. It doesn’t stop here; there are many other things to consider. For example the hitch receiver on the back of the tow vehicle has a weight rating too. The truck might be able to tow 5,340 pounds, but if the receiver is rated for 5,000 pounds that’s the most you can tow. You see everything in the towing system is based on the weakest link in the system. All I really know is the last trailer I owned weighed in at about 7,300 pounds when it was loaded to go camping. My ¾ ton truck at the time had a tow rating of 8,800 pounds and I was below the GCWR. Towing the trailer was not always a pleasurable experience. I get nervous when I hear about a ½ ton truck capable of towing 11,000 pounds, don’t you? Here is my Ford Challenge to Ford. Let me review this one ½ ton F-150 that can tow 11,000 pounds. I’ll hook it up to an 11,000 pound trailer, take a test drive and write a review. If I’m wrong about my doubts that it can tow an 11,000 pound trailer safely and effortlessly I’ll be the first to admit it. I’ll keep checking my e-mail, but won’t get my hopes up. 1) Don’t let commercial advertising plant a seed that all F-150 trucks can tow 11,000 pounds, when in fact only one model is rated for 10,500, at least that’s what the Ford towing guide says. And then do the math and see what that one truck can tow in the real world. 2) Are truck manufacturers crossing a fine line with advertised tow ratings? I have been involved in a few legal cases, as an expert witness, where people were paralyzed and killed. The common factor in these cases involved improperly matched tow vehicles and trailers. 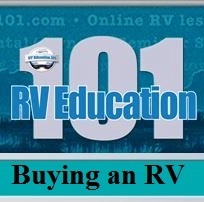 Don’t depend on automobile dealerships and RV dealerships to always give you 100% accurate information. 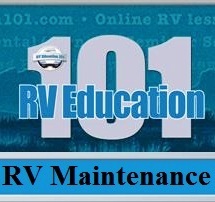 Do your homework before purchasing a tow vehicle and trailer. 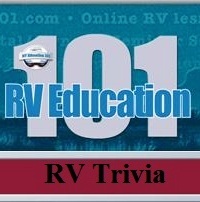 3) Are RV manufacturers building trailers too heavy for today’s trucks? Is this the reason for increased tow ratings? 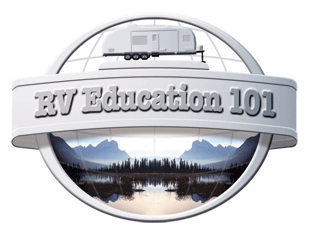 If a trailer has a GVWR that is higher than the tow rating of your vehicle it is a mismatch. If you load the trailer to its GVWR you will exceed your tow vehicle rating. 4) At this rate what will happen with tow ratings by 2010? After numerous attempts to contact Ford representatives and after writing this article I was finally contacted by the Ford Public Relations Group, Ford Truck Commercial Manager. I believe that was his title. He claimed that the Gross Combined Weight Rating for the half-ton truck in question was raised from 15,800 pounds to 16,400 pounds, as of 31 May 2007. It was originally 15,300 pounds, then 15,800 and now 16,400. I questioned what changed on the vehicle to account for the latest increase in the GCWR and was told the shackle and bumper attachments were improved and something about the unique tires the truck had. He also informed me that the truck passed the same rigorous truck durability testing cycle that all Fords trucks are put through to determine its capabilities. On more than one occasion he mentioned that Ford was not just manipulating the numbers. One problem I still see is that there is no standardized testing for vehicles to determine tow capacities, so basically it is left to the manufacturer to determine ratings. I still have my doubts about any half-ton truck being able to safely tow 11,000 pounds, but for the record Ford finally came forward and said their truck can do it. I’ll let you, the consumer, be the judge.